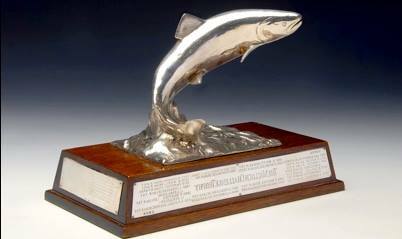 We are pleased to announce the FishPal Malloch Trophy will be presented to this years winner, Wayne Longstaff, on the evening of Wednesday 25th March at the Tweed Foundation Seminar, Ednam House Hotel, Kelso. Mark Cockburn, FishPal CEO, says “This year we wanted to bring the most prestigious trophy in game angling to the winning river. What better place than in one of the iconic fishing hotels in Scotland, on the banks of the Tweed overlooking the famous Junction pool and at a Tweed Foundation seminar on salmon”. The FREE seminar at Ednam House Hotel, 7pm, Wednesday 25th March, will focus on all aspects of Tweed Salmon, including what happens to these incredible fish during their life cycle as they make their way up and down our river system each year. Spawning, Tweed salmon at sea, catches, and trends in size and age will be some of the topics covered during the evening by their speaker – read more. Wednesday 25th March at 7pm. Venue: Ednam House Hotel, Kelso, Scotland.